This amazing auto LED display accessory will make your journey completely hassle free and cool. 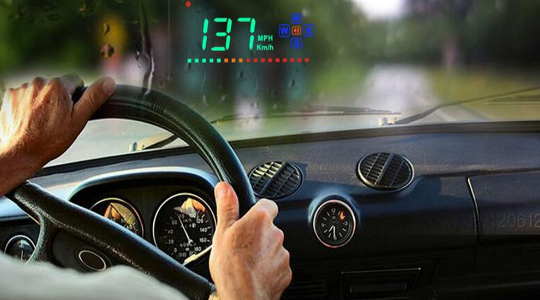 DODORO is a 3.5 inch head up display with LED speedometer, color projection, speed warning, A2 ECU and compatible with all cars and trucks. It collects data via car's A2 ECU and offers you real and more accurate data. Working on multi-color LED, it features auto/manual brightness adjustment with nanotechnology to eliminate excess light reflection, making it easier to read even during daytime. DODORO displays most important information such as driving speed, speed limit warnings, and directions and does not interfere with your view at all. Most importantly it automatically on and off with your car making you do nothing to work with it. A simple plug and play perfect display accessory powered by a DC8-24V cigarette lighter and compatible with all cars and trucks.